Tinker AFB, OK - The Westin has a great hotel in downtown (Bricktown) Oklahoma City. It is just blocks from a bunch of restaurants, etc. A fantastic Mexican restaurant within walking distance is Abuelos. Near the base, a great restaurant is Napolean's - they serve great subs and home-made French cuisine. It's located just outside the fence between gates 1 and 2. Restaurant row in Midwest City (right outside gate 1) was going N on Air Depot. Travelling W on SE 29th street takes you into Del City which has a smaller restaurant row. ~La Quinta at I40 and Sooner (405-672-0067) was a total Dump! Maid service is marginal, checked in-bed made and clean towels but the floor and bathroom was dirty. The hotel only has one washer and dryer. There was a double homicide in the lobby during broad daylight(1100L). ~Comfort Inn & Suites was decent. My room had a refrigerator & microwave, without my asking. It's also on the corner of I-40 & Sooner, so it's within easy reach of Midwest City's "restaurant row". I wasn't too thrilled with not being able to get beer over 3.2% alcohol at a convenience store, but I did discover you can buy good beer at a liquor store (although it's hot) if you can FIND a liquor store. It took me an hour of cruising around to find one. Don't miss Ron's on Air Depot Blvd if you like burgers. They have a fantastic selection & they're very friendly. Embassy Suites (405-682-6000 Fax 9835) was awesome. If staying more than 14 days they will give you the Per-Diem rate, gotta ask. Full breakfast 0600-0930 weekdays till 1030 weekends. Full comp bar 1730-1930!!!! Good liquor, no trash!! Residence Inn was awesome. Large suites at the Per Diem rate! Located next to Bass Pro Shops and the Bricktown Ballpark. The Ford center was about 4 blocks away as were the bars of Bricktown! Each room had memory foam beds, pull out couches and a great kitchenette. Free breakfast buffet every morning which was OUTSTANDING! When other hotels were not giving the government rate, they were more than willing to even though the hotel was packed. There are a couple different Residence Inns in the OKC area (and several Marriott hotels on the same street), make sure you get the right one! If you're going to OKC for Advanced Instrument School, your orders should direct you to Oklahoma City NOT TINKER AFB, allowing you to stay off base without a Non-A slip. Any hotel in the Bricktown area is an easy 10-15 min drive to the Mid-America building where AIS is located (off-base). 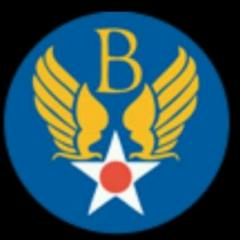 Altus AFB, OK - ATTENTION STUDENT PILOTS! Fully furnished house at on-base nightly rate - all utilities included!, including DirecTV w/NFL Sunday Ticket. Everything is covered! Pay w/GTC via PayPal. Located just 3 miles N of Altus AFB. Each room has queen memory foam beds, 32-in TV w/DirecTV, dresser. Foosball table, gas grill, deck. Kitchen has everything you need...just show up! House sits on 1.3 acres w/no backyard neighbors. Per the JFTR, you DO NOT NEED TO STAY ON BASE EVEN IF THEY HAVE VACANCY. Email rymacl@yahoo.com or call 701-330-5982 for availability/more info/pictures.